I don't know about you but I have quite a collection of Charm Packs waiting to become a quilted project. I cannot resist those packs of squares from my favorite lines. The Charm Pack above has been staring at me from the shelf for a while now. Such cheerful colors! The thing is, I have no idea what I will do with it and, thus, the collection keeps growing. To be sure, I do have books with patterns for precuts, but I am always looking for fresh ideas, something different, something new. I think there is hope, though. 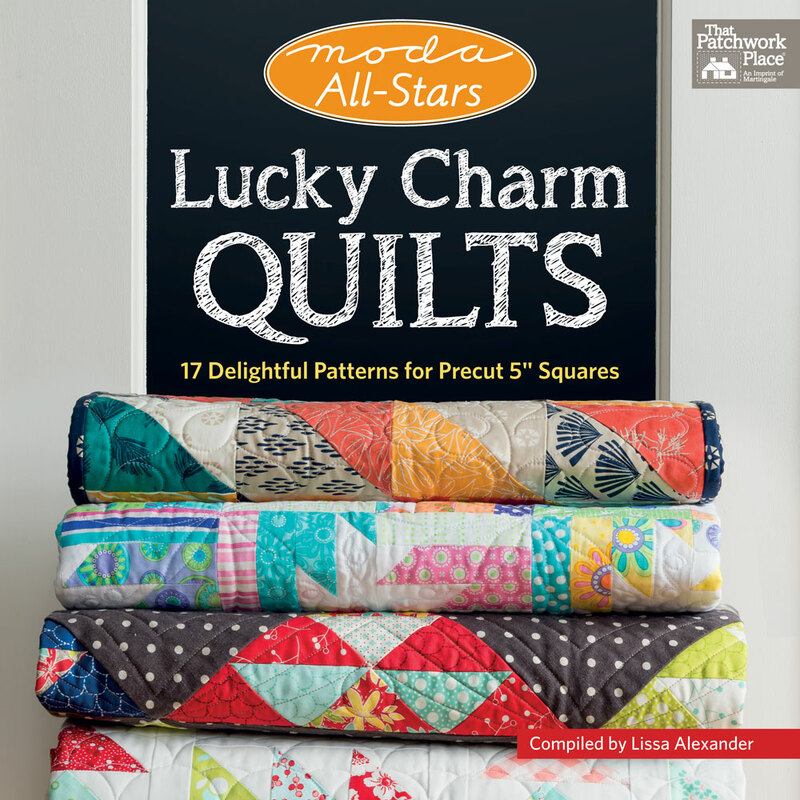 I just got the book Moda All-Stars Lucky Charm Quilts - 17 Delightful Patterns for Precut 5" Squares, compiled by Lissa Alexander and published by Martingale. I am going to get busy (busier)! The book's projects are divided into sections according to how many charm packs they require: 1, 2, or 3. Ah... that means I need to go back shopping because I usually buy only one charm pack of a fabric line. The beautiful photographs and easy-to-understand diagrams help get the projects finished quickly. The tricky part is to choose which project to make first. The gorgeous designs were created by the Moda All-Stars designers, so I knew I was in for a treat. Speaking of treats, Lissa Alexander included in the book answers to her survey "Charmed, I'm Sure", where you can find out each designer's preferences regarding Charm Squares and how they use them. ... 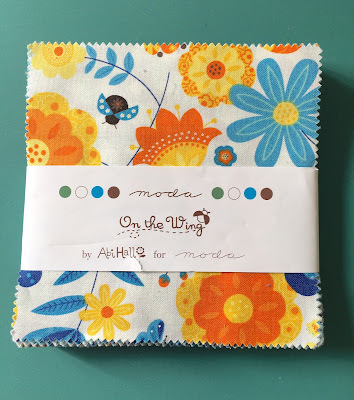 I may get an extra charm pack of Moda's On the Wing (pictured above) and make Spring Mosaic by Sandy Gervais. 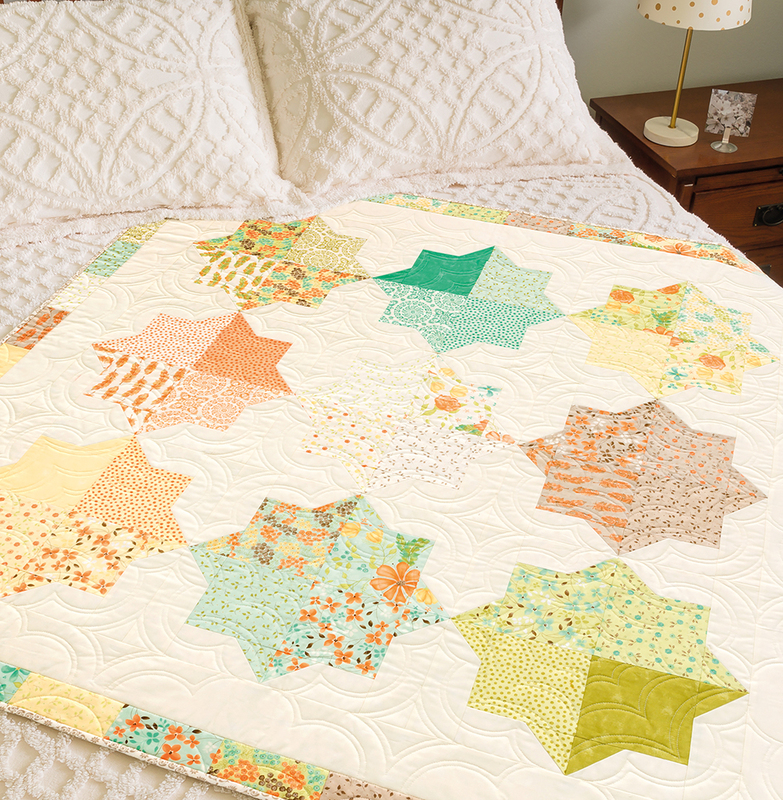 The clever fabric placement completely changed the look of the block! 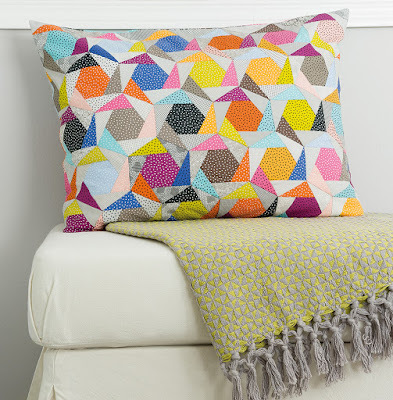 This pillow, Spining Tops by Jen Kingwell, has been tempting me since I saw it! If I get three charm packs this can be my choice. She hand pieced it but I will probably machine piece it. Jen loves polka dots and this pillow is a wonderful project to showcase them. 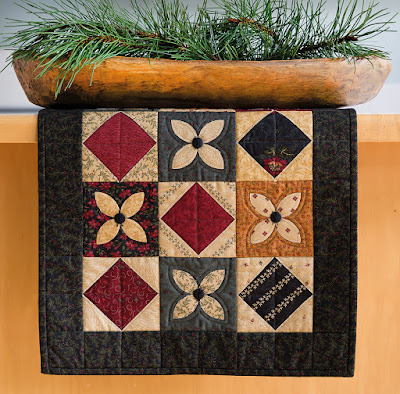 There is one more reason why I liked this book: it is good for the quilter's soul and creativity, while it has a very practical purpose. All royalties from the book will be donated to Alex's Lemonade Stand Foundation to raise funds "for research into new treatments and cures for all children battling cancer." 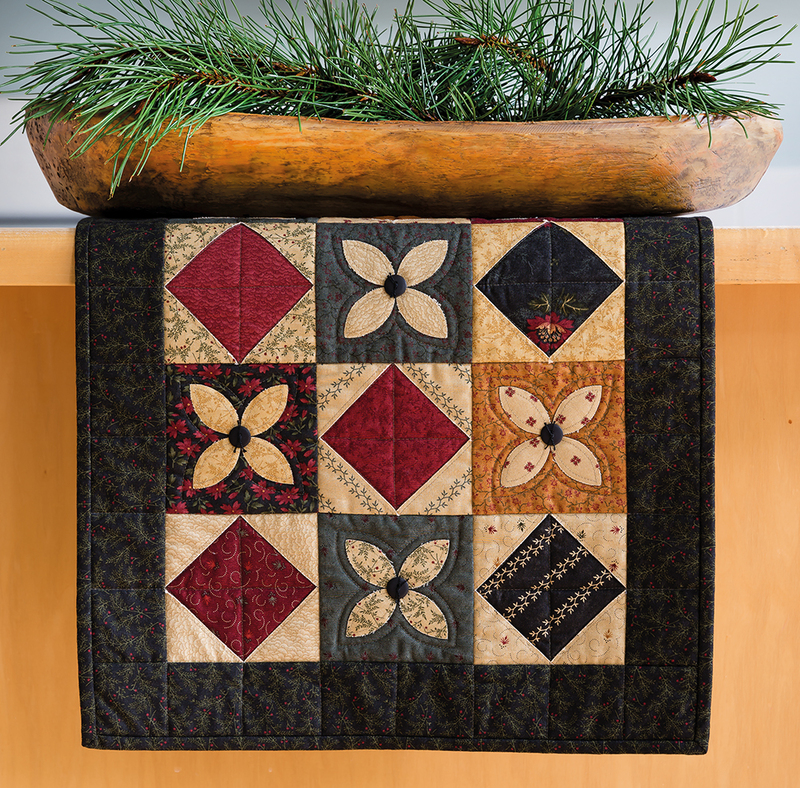 A great addition, indeed, to our quilter's library. Like you, I can't resist the cute pre cuts either. Good luck with finishing a few off. Adoro!!! !Agora estou conseguindo em tecidos brasileiros os cortes internacionais.mas estou muito devagar com as minhas costurices rsrsrs.Beijos Deus te abençoe ! !FELIZ PÁSCOA!!!!!! Sounds like a really cool book. And I too love Moda's charm packs. Sew cute! !